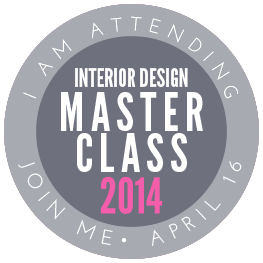 Back in September is the very first time I mentioned the words Interior Design Master Class out loud. I loosely sketched out the idea in a notebook and set out to make magic happen. My stomach is in knots. Working almost exclusively with the home décor brands and interior designers, I often get asked, how do I get my work published in design magazines?? The answer to this question is largely personal, looking inwards and how you market your self - your brand before anything else. 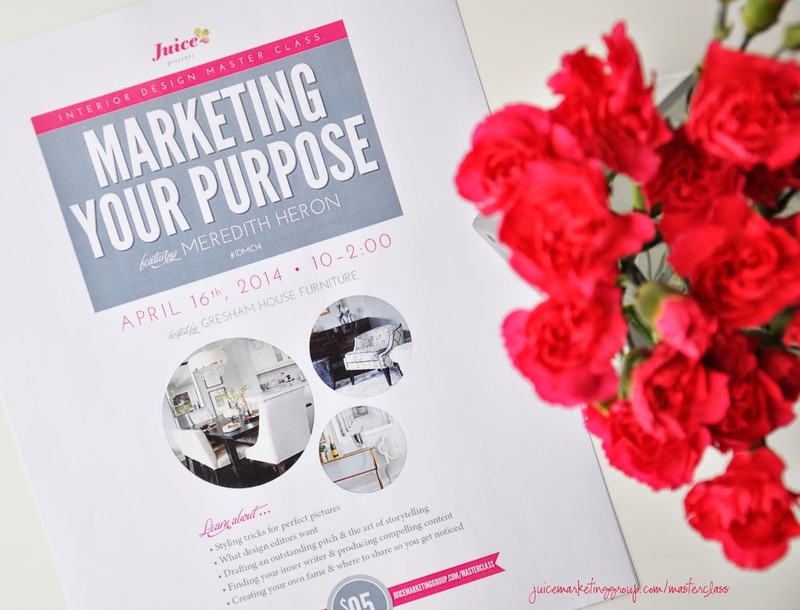 That said, our inaugural Interior Design Master Class | Marketing Your Purpose is dedicated to answering this very question. Here’s the chance to get the skinny on how to get to published in top design magazines. With guest speaker Meredith of, Meredith Heron Design Inc., spilling it on how she’s hit news stands, websites & blogs 12 / 12 in 2013. Exciting right? I'm beyond excited! Did I mention by stomach is in knots? What's even more exciting... we have a great line up of sponsors, some clients and others who just believe this is going to be something special - and spectacular! Here's a few we've blogged about already - more to follow!! I would love to know if you're already joining... here's an event "attendee" badge if you're blogging about it. 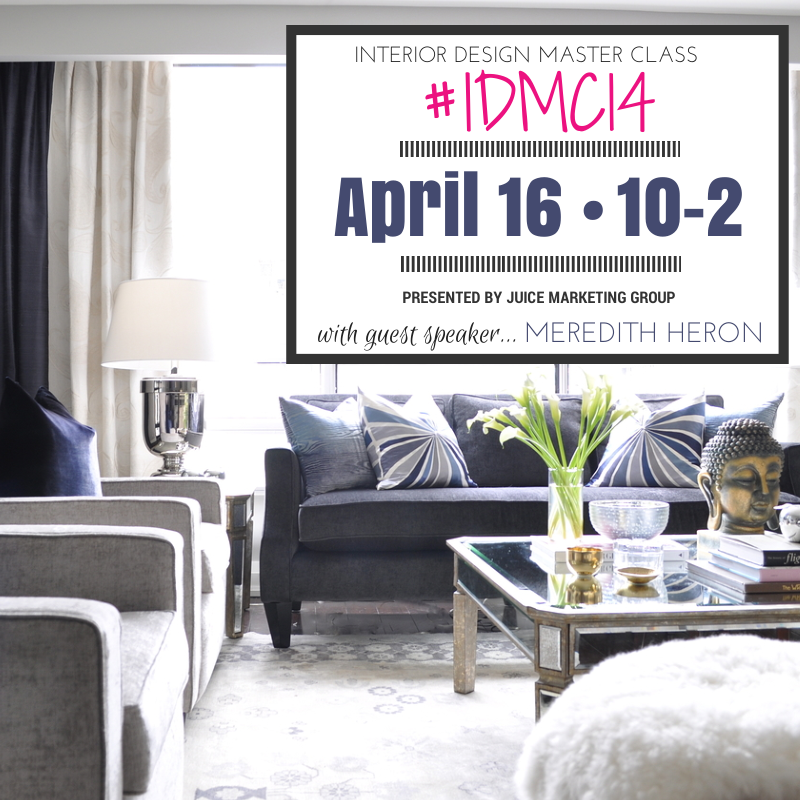 If you’re an interior designer or decorator cheer leading for hustling big then this is one event you don’t want to miss! 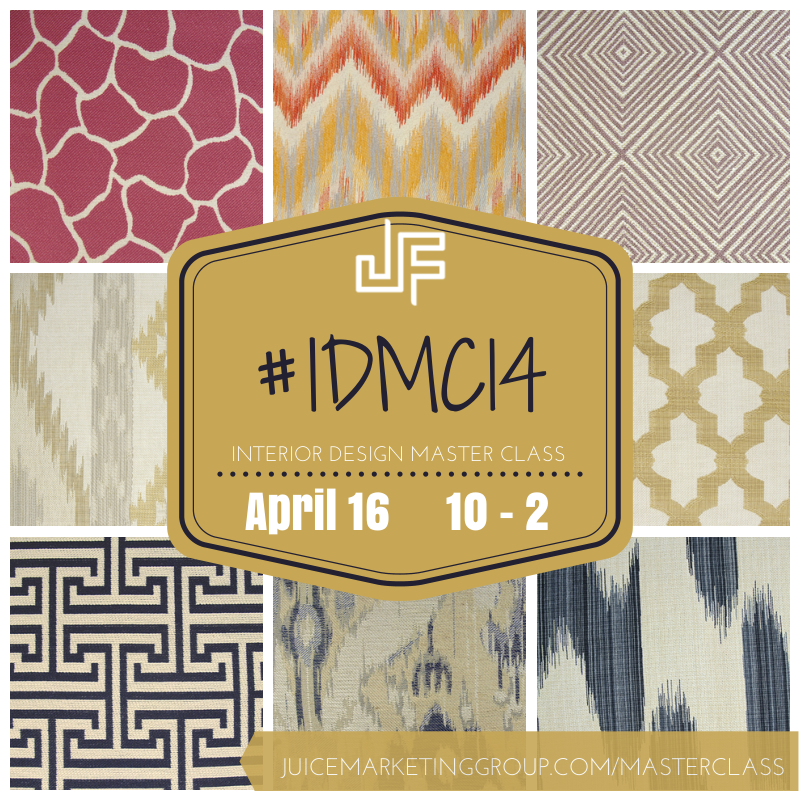 Get your ticket today by visiting www.juicemarketinggroup.com/masterclass/. My friends from Treetopia have reached out again this year. 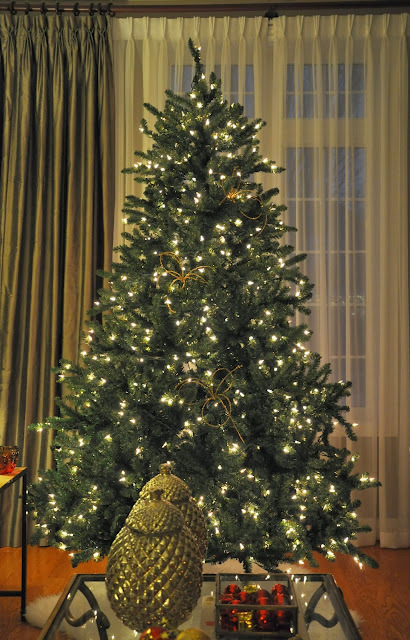 They sent an Alexander Fir artificial Christmas tree, 7.5 with clear lights, and it's absolutely beautiful. 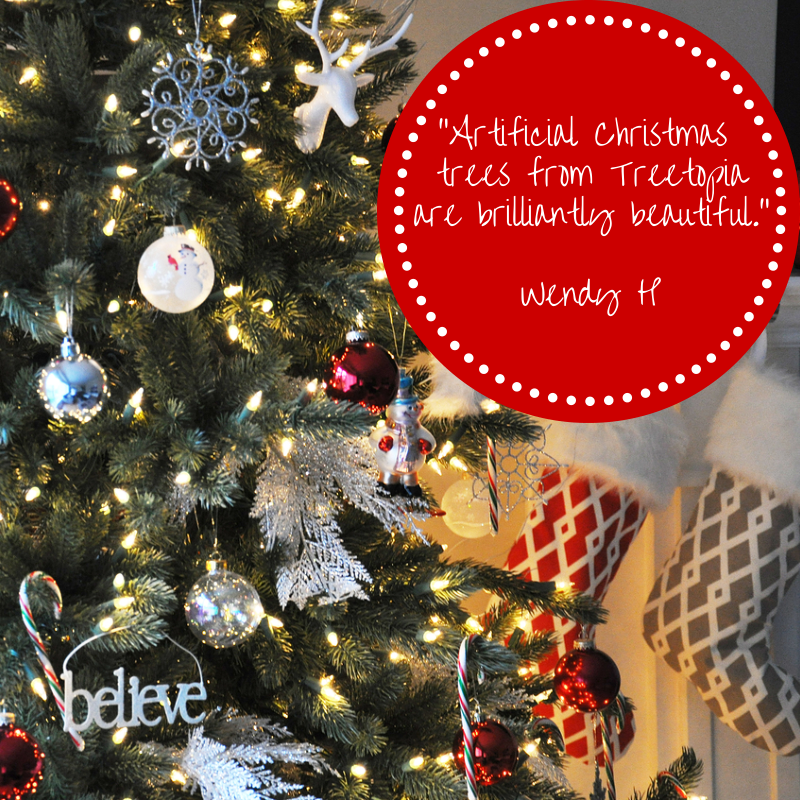 I wasn't a believer in artificial Christmas trees however, Treetopia makes them life -like, easy to assemble, and with some adjusting of the branches they are ready to be dressed with Christmas decorations in mere minutes. This one sits in our living room and I prefer to leave it without ornaments and it's equally beautiful. We've had up since mid November so to take photos, and my kids have been turning on the lights ever since. Yes, we're that crazy family that had tree lights before the Toronto Santa Claus parade. Oh well, that's prompted discussion with neighbours so it's all grande. This Alexander Fir is a bit different that the Balsam Fir artificial Christmas tree. The foliage is different, almost soft and paper-like and not plastic. The branches fall easily, evenly and the shape is perfect. I should try for close up photo to illustrate what I'm referring to. 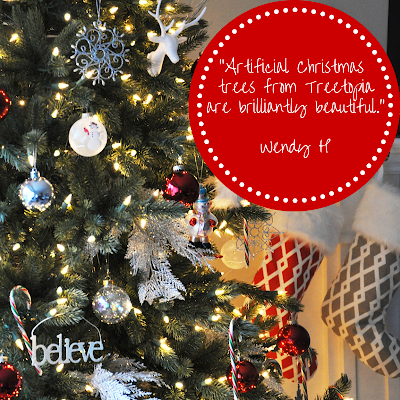 It's likely you already have your tree for this season however, if you're in need of a new tree for next year - pop over to Treetopia and get yours with them. They do not disappoint. Earlier this week I had the opportunity to join the Princess Margaret Welcome Home Sweepstakes Showhome contributor launch. If you’ve been following Desire to Decorate for a while, you already know love symmetry, so this house got me from the outside! Love it! This year’s showhome was indeed different. 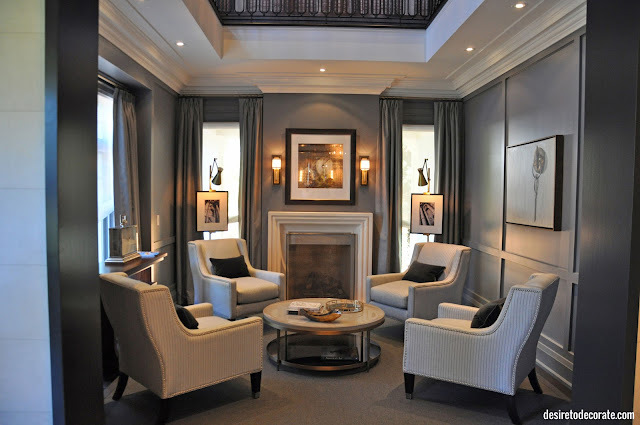 It was the first time interior designer Brian Gluckstein, and his design team, held the position of leading the design process for the house. And, true to Brian’s signature style, the house had a mix traditional and modern elements grounded by a neutral colour palette. 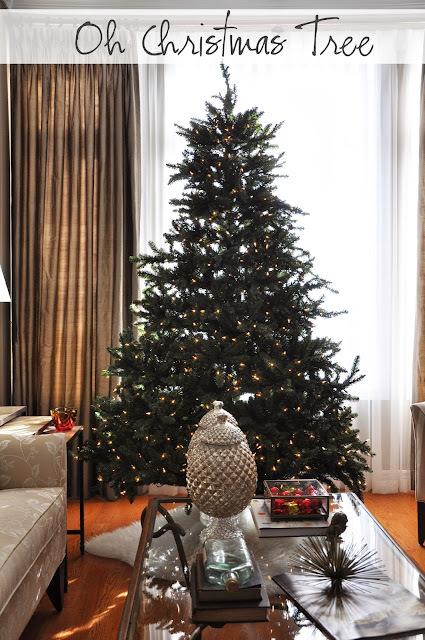 This showhome radiates the ultimate entertaining home surrounded by glamorous décor. And of course, the design execution wouldn’t be possible if not for the work of home builder PCM Project and Construction Management. Starting with the front entry. Almost reminiscent of the hotel lobby. The first door to the left… the library. The one trend I noticed immediately was the millwork, trim and baseboards were all painted the same colour. The crown moulding was the only detail painted white as were most of the ceilings. 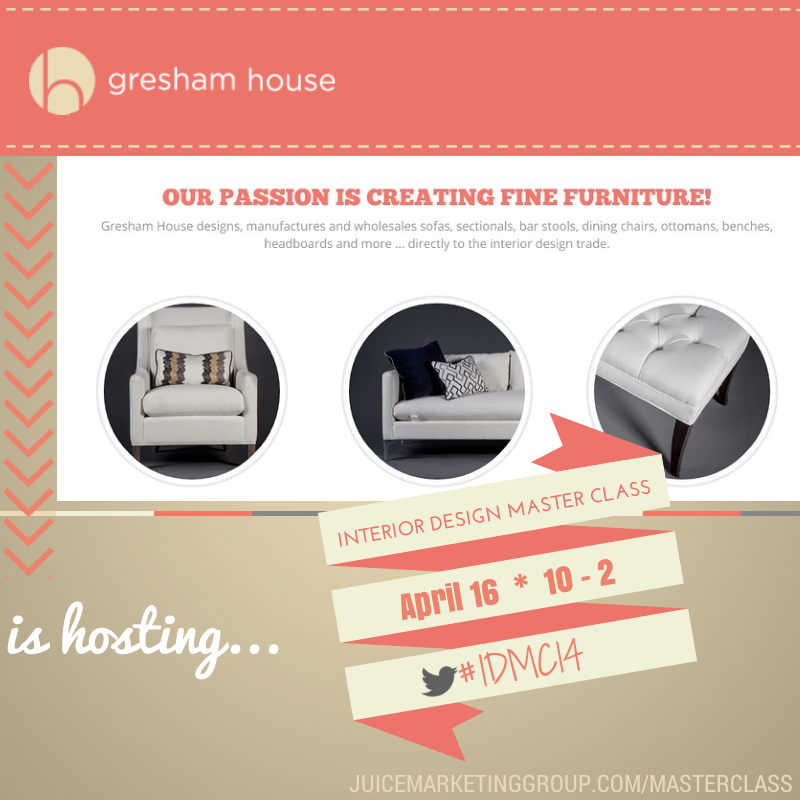 … special highlights for two of my Juice Marketing Group clients… the drapery sheers are from JF Fabrics and the artwork is from Cocoon Furnishings. To the right… the living room. Just behind the living room is the staircase. Another shout out for JF Fabrics!!! So thrilled to see such a great representation of JF Fabrics through out the entire house!!! The upper level hallway. I have a thing for hallways, my house is open concept so we don’t really have any. And, I absolutely love the display terrariums. The guest bedroom. If I recall correctly, each bedroom has a bathroom. The master bath was spectacular. Back downstairs… the dining room. Yes, that's me taking the photo! Adjacent to the kitchen was the family room. I love the contemporary art wall display camouflaging the TV in the family room. Moving to the lower level. As soon as you come downstairs, you’re greeted with the workout room! Wonder how many times I would walk right on by? Ha! The laundry room is right after the workout room… avoiding these areas although would be me. I would likely carry onwards to the recreation TV area. And, of course there’s another bedroom with bath, bar area and wine cellar. The landscaping in the backyard was simple yet fabulous for entertaining. Tired of looking at photos? And, there’s so much more to see! Want more client photos? Feel free to pop over here. 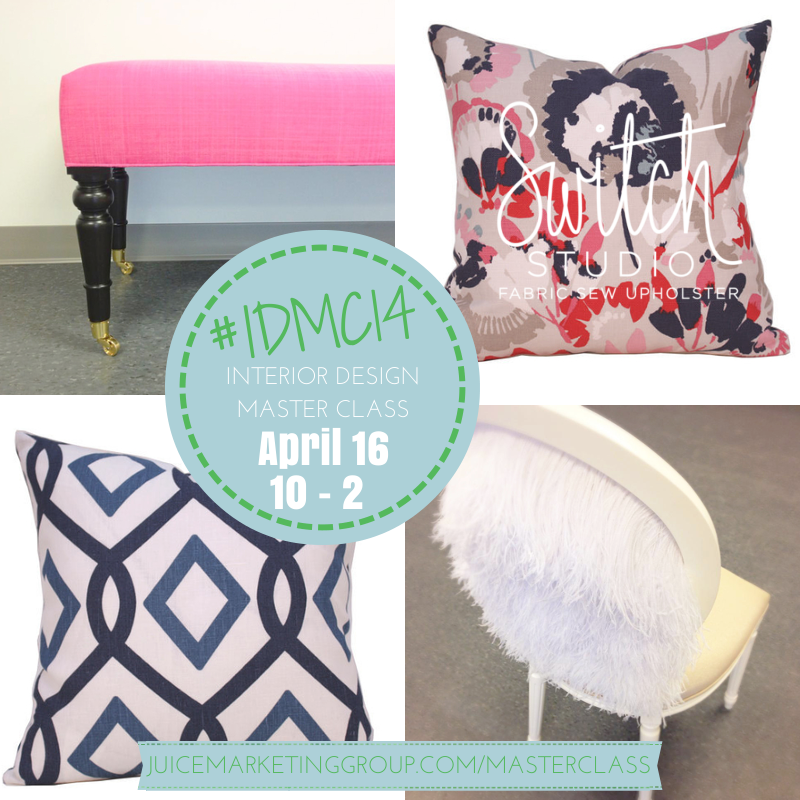 Tell me, what are some of your favourite design elements from the showhome? Enough eye candy to get you contributing to a good cause? 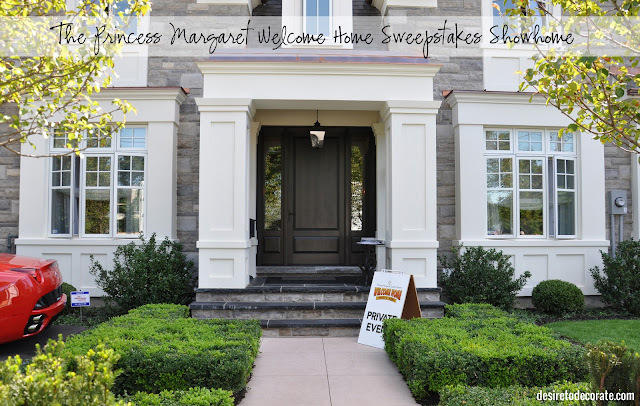 So if you’re in Toronto you should pay a visit to Oakville to visit this years’ Princess Margaret Welcome Home Sweepstakes Showhome. You can do it visiting the official Help Conquer Cancer website here.